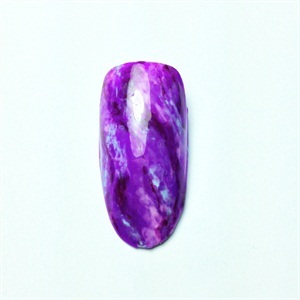 Nail art doesn’t have to be precise to be pretty. Follow these steps from New York-based nail tech Candy J. to find out how you can easily add an effortless design to your next manicure service. 1. 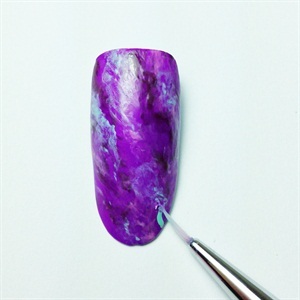 Apply two coats of your preferred base color over a dry base coat. 2. 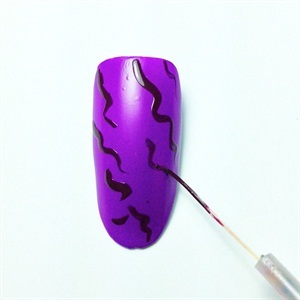 Create messy zigzag lines with your striper brush using a dark shade. Make sure to randomize the placement for an abstract look. 3. 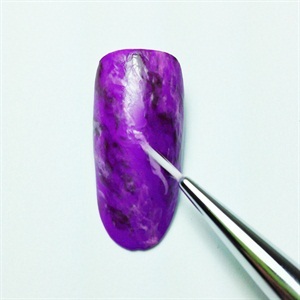 Lightly dab pure acetone over the lines you just created with a clean, short nail art brush. 4. 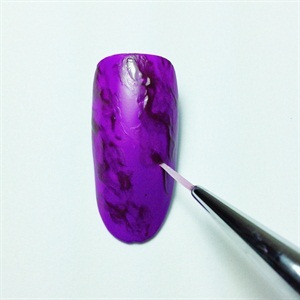 Repeat steps 2 and 3 with a lighter shade. 5. Repeat step 4 with a different color. 6. Apply top coat to seal the look. For more technique-focused tutorials, click here. To keep up with Candy follow her on Instagram @candyjx.